More foodie tips by our International Food Expert, Kate, from We Travel We Eat! Los Angeles versus New York. It’s a tale of two cities that will never go away. The caliber of the food, both west and east coast, is exceptional. I might even put LA a bit ahead of NYC- something about it is airier, more fun, somehow more personality fueled. The list of places I’ve eaten in Los Angeles is probably triple the length of this list. Pulling out my utmost favorites, from a group that heavily veers from very good to excellent, is tough. But here we are. Here’s my hit list of the best food in Los Angeles! Otium is all in, and you know it the moment you step foot inside. Grandiose and gorgeous, with huge glass windows, it’s the spacious restaurant attached to The Broad, Los Angeles’s contemporary art museum. The open kitchen is the focal point, creating a social space with a finely curated menu heavy on ingredients like hamachi, crab, burrata, falafel and wild rice. I prefer Gjusta to Gjelina. And to GTA, the takeaway version of Gjelina. Gjusta is the third installment of the trifecta, a mix of cafe/bakery/deli, and has a cheerful Venice beach vibe I can never get enough of. 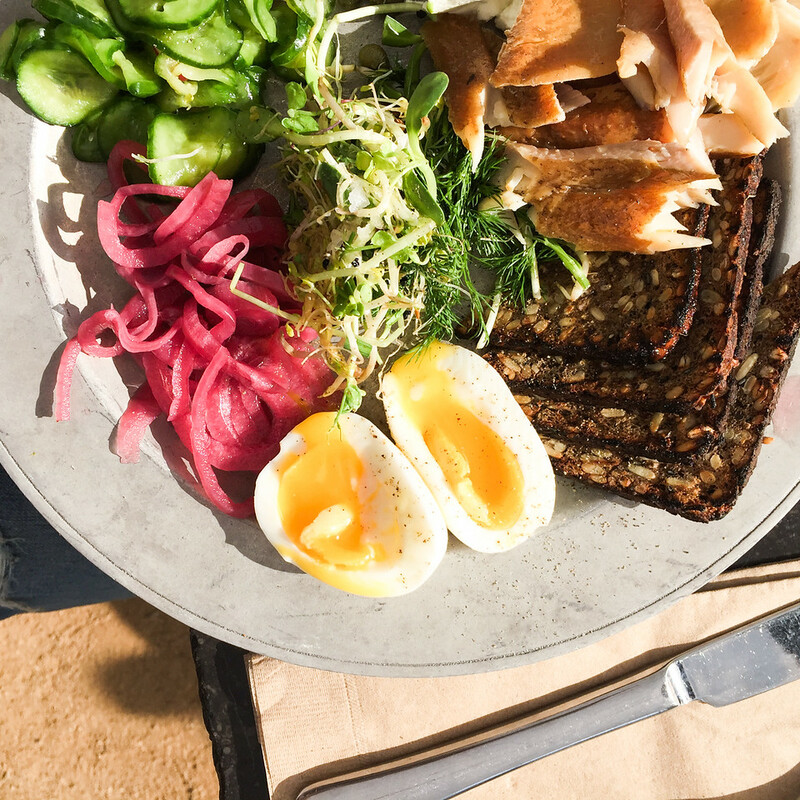 My personal favorite is the fish plate, beautiful and stocked with trout, mackerel or salmon, egg, pickled veggies, labneh and organic seeded rye bread. This restaurateur duo have quite a list of successful spots under their belt: Son of a Gun, Animal, the recently opened Kismet (below) and the aptly named Jon & Vinny’s itself. Here the aesthetics lean towards modern, yet not uptight. The food is taken seriously, though moods are kept light hearted. The gem lettuce salad with chili and breadcrumbs is one for the books, and the LA Woman with local burrata, tomato, basil, sea salt and olive oil pizza is excellent. Know that Angelini Alimentari is a cafe. It’s totally low key, completely casual and very unassuming. That right there might be part of the reason why you’ll be so impressed once the food comes out. There are two locations, the one on Beverly having a larger selection. Order some eggs, pick a few toasts, and you’ll be happy for the rest of the day. It might not be customary to put a food truck on a greatest hits list, but when the tacos that are churned out taste like Guerilla’s are, it easily earns its place. Get the sweet potato, fried corn nut and feta variety, and walk away happy. 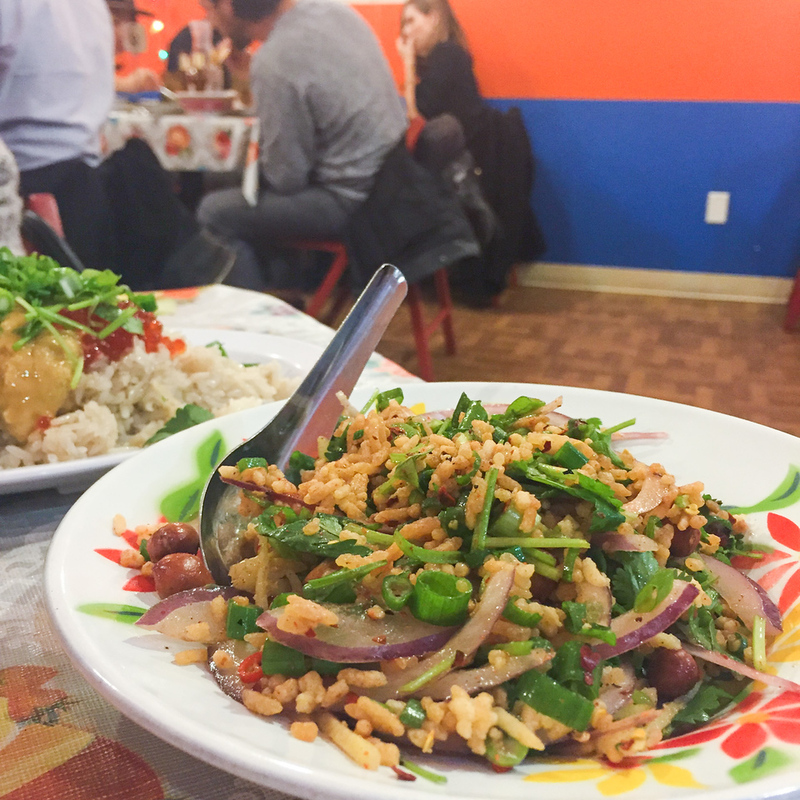 Silver Lake’s Thai restaurant Night + Market Song is colorful and casual, fun and creative. The food has a kick, but not so much that it detracts from the complexity and enjoyment of the dishes themselves. Dive into a traditional Khao Soi, pick a spicy salad, like the papaya, peanut and lime version, and keep some sticky coconut rice on the side, just in case. I go back to Sugarfish over and over again whenever I’m in LA. The West Hollywood location is my favorite, but all have the same menu and same exceptional yet simple sushi. Order a la carte or get the Bring Me omakase box giving you the value Sugarfish is so well known for. Chef Ludo is no joke. Trois Familia is his third LA establishment, bringing Silver Lake a casual breakfast joint with an interesting French/Mexican twist and a delightful surprise behind every dish. 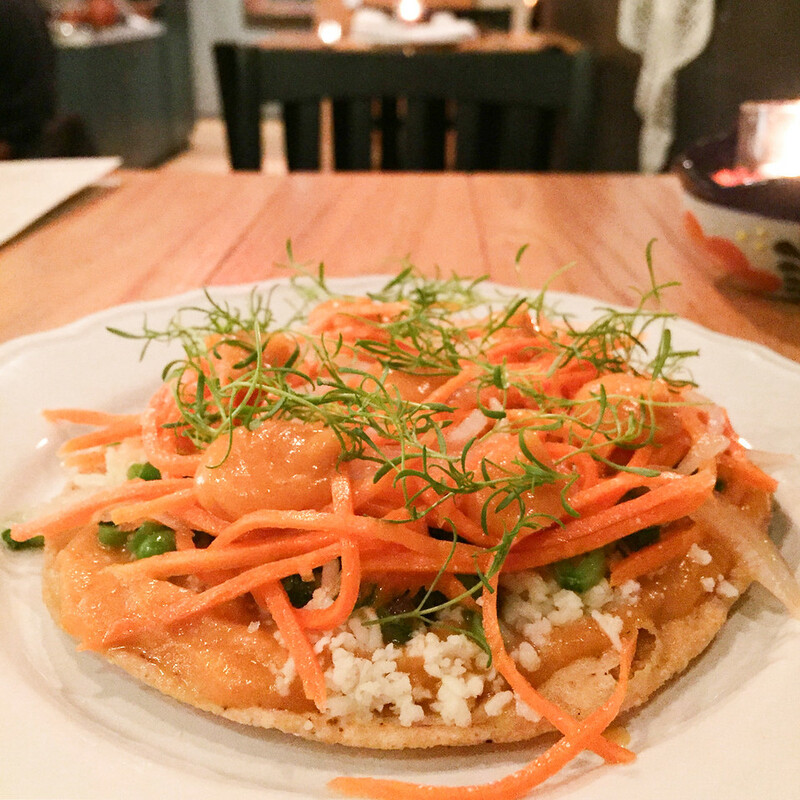 From a beet tartare tostada to crispy hashbrown chilaquiles with eggs and cojita cheese, this destination dining spot is a perfect way to start out a sunny weekend day in LA. Located in the somewhat off the beaten path Arts District, Bestia’s warehouse space fits in perfectly. It made a splash when it first opened in 2013, and it’s still very much alive and kicking. The menu is massive, divided into traditional Italian sections of piatti piccoli, antipasti, pizze, paste, secondi and dolci. 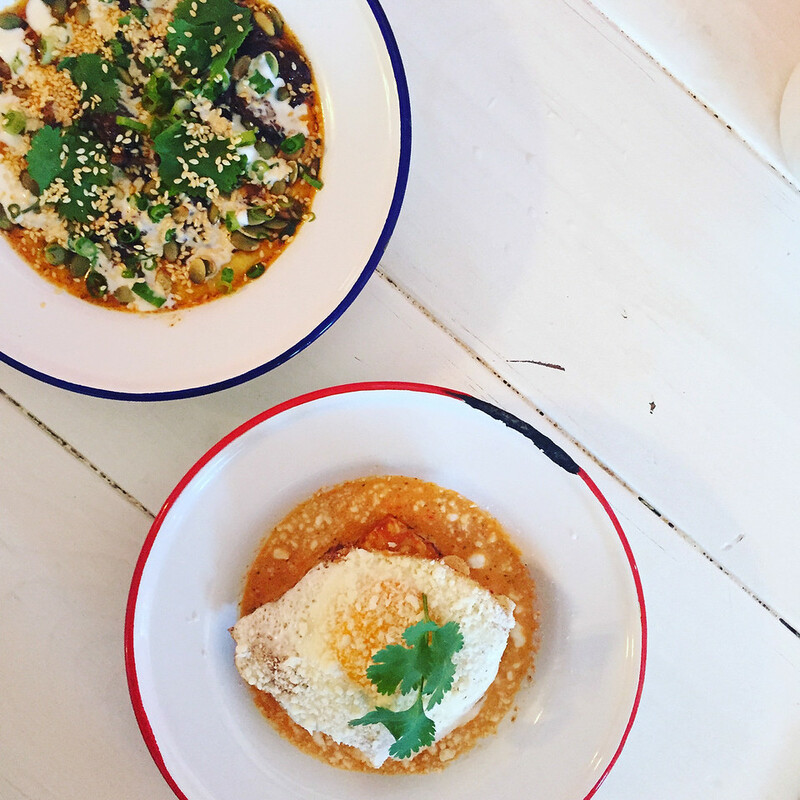 Even though I dined at Broken Spanish for the first time on my own, I had some real, serious fun in there, which speaks volumes to the feel of the place, the friendliness and genuine enthusiasm of the waiter and obviously, to the immense quality of the modern Mexican food being served. The tostada and the chile relleno were my personal highlights, washed down with mezcal cocktails and chocolate torte for dessert. Our table crowded quickly, packed with fresh barbari bread, harissa olives, spiced cashews, marinated feta, grilled squid, mashed potatoes, and piles of tahini and labneh. We got the attention of the entire staff and kitchen with our order, and left ridiculously full and completely happy. Located in a gorgeous high ceiling building that feels like it used to hold medieval banquets and balls, Republique is great for any time of the day. 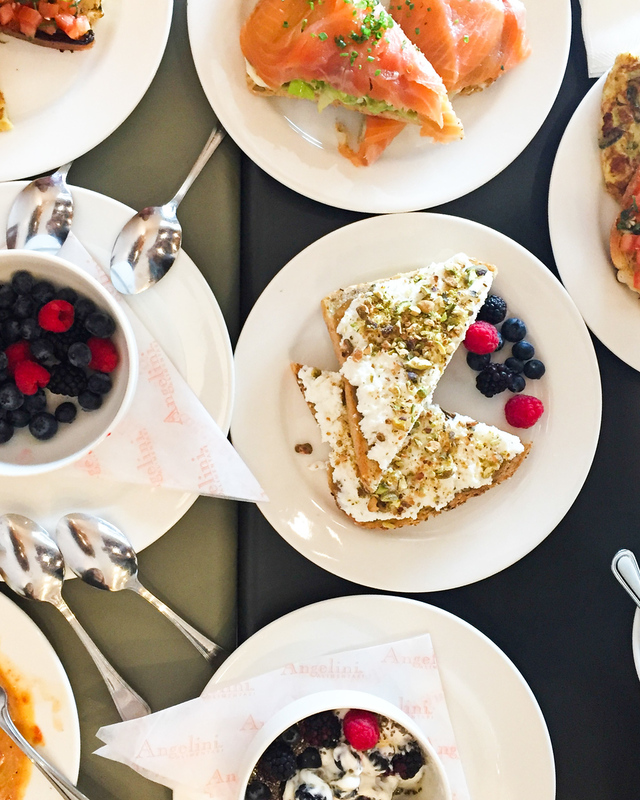 Go for the bubbling shakshuka at breakfast, the lobster spaghetti with uni for dinner, or the huge slice of salted caramel chocolate cake at dessert. This is a professional operation brought to you by the previously mentioned award winning Chef Ludo. There are only about 20 seats to be had, all of which are lined against two different bars spanning the length of the small space. 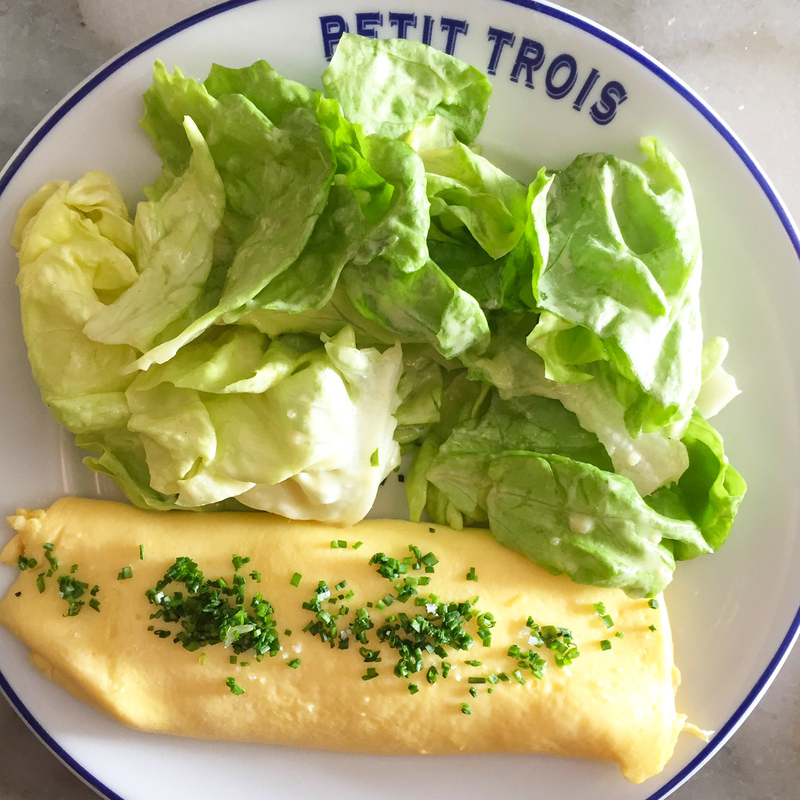 Petit Trois gave me the Parisian omelette of a lifetime, full of boursin pepper cheese and sprinkled with chives. Other menu standouts are the walnut, avocado and endive salad, the french onion soup, the double cheese burger and of course, those frites. Here’s Looking at You is awesome. It’s fun, it’s flirty, it’s different, and though it’s a proper restaurant in the heart of Koreatown, it feels like a funky bar you’d be happy to spend your entire night in. The shishito peppers lying in a bed of tahini sauce and the stracciatella cheese on bread with papitas were both particularly memorable. Oh my god Destroyer, you are one of a kind. Your dishes look like they are from the future but I want to be in present day with you now and forever. The spiced bread with creme fraiche and black currant could be the dish of the year. “The reason we don’t open for breakfast is we’re out catching lunch.” If you want to eat somewhere where this is their motto, Malibu Seafood is for you. Located literally off the side of the PCH, I have never been or gone by here without seeing a pretty sizable amount of people waiting to place their order. The line moves quickly though, and whatever wait time there ends up being is worth your while. Plates are served simply and in abundance, served at whatever picnic table you can grab. Choose from salads, fried or grilled sandwiches, variations of fish and chips, chowders and freshly grilled seafood plates with sides. Bavel is the next, and I think even better iteration of Bestia. Also located in the rapidly developing, warehouse stocked Arts District, here you’ll find a Middle Eastern focus rather than an Italian one. The menu houses creative twists on staple dishes, bringing to life old classics in exhilarating ways. The farm cheese with za’atar and olive oil alongside a warm buckwheat loaf and the grilled prawns laid on top of a zucchini tzatziki dip are combinations that’ll blow you away. The space is bright and colorful with a sprawling indoors and lovely patio if you prefer outside dining. Either one will make the perfect backdrop to a meal you’re going to want to have over and over again. 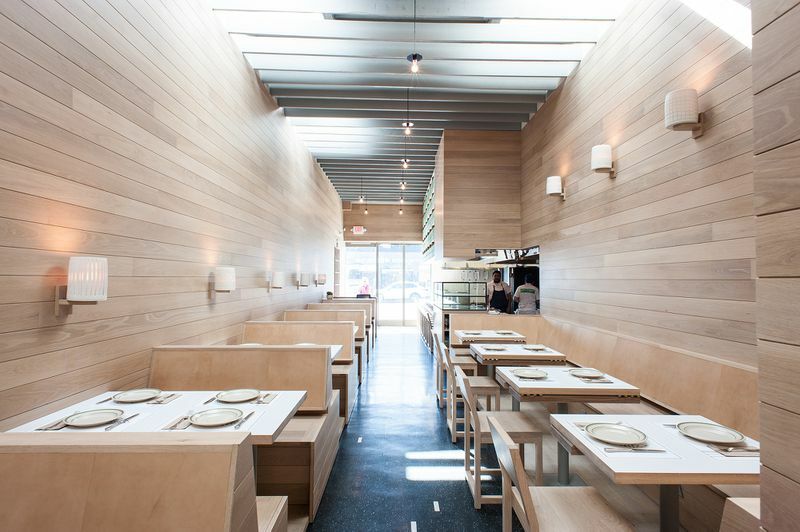 Another taco truck transformed into a sit-down restaurant is B.S. Taqueria. 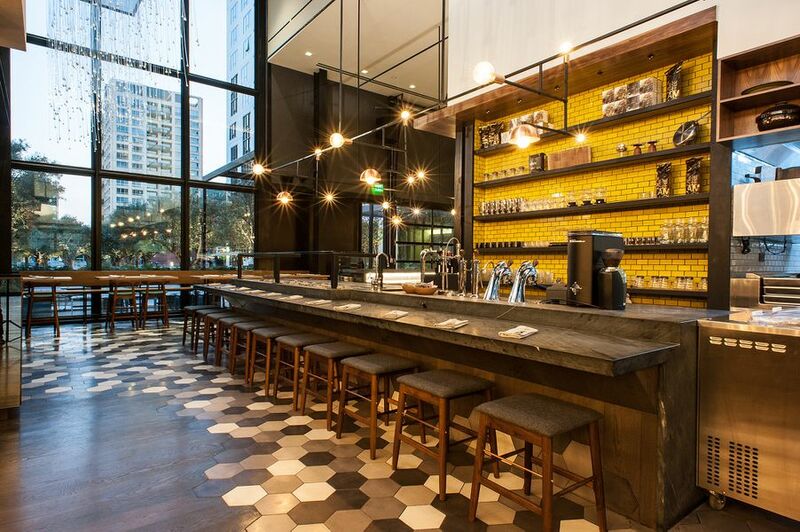 It recently opened in its new format in Downtown LA. Keeping on the casual circuit, you order at the entrance and grab a number. Your tacos and supporting elements are brought to you as they’re ready. The shrimp tacos, grilled corn and guacamole were the highlights. I eat out all the time. Usually multiple times a week. If something stands out for weeks, months, even years after I’ve eaten it, I know it’s a good one. The spaghetti cacio pepe at Osteria La Buca is one of these dishes. It’s perfectly al dente, perfectly creamy, and when eating it in the lovely candlelit room upstairs, the combination is a major stand out. The setting of Sawyer is so lovely and captivating that the food sits more at the backdrop than the atmosphere itself- and this somehow is not at all a bad thing here. High-ceilinged, airy and a bit bohemian feeling, Sawyer is simple, but simultaneously has it all. There’s a perfect little backyard out back, a beautiful sprawling bar on the right when you walk in, and dozens of tables between the two to sit with friends, settle in and undoubtedly talk the night away. Every city has that restaurant that feels uber relaxed and neighborhoody but delivers food that sits at the highest of quality. For LA, Alimento in Silverlake is that spot. It’s the type of place you could easily revisit on a monthly basis, order slightly differently each time around, and leave happy and satisfied over and over again. Alimento is Italian at its core, but the range of dishes span beyond just pasta. The menu is quite big, and a healthy array of them should be sampled. Start with the flavorful cracked farro salad or a lighter crudo, followed by the octopus with charred carrots or yellowtail collar affumicato, and then dive on into those delicious sauced up carbohydrates. Mh Zh is weird, unique, quirky, and I loved it. For starters, the restaurant is barely a restaurant at all. The tables are placed on the sidewalk circling what looks like nothing more than a storefront. Inside is only a small counter and a couple of busy chefs whipping up the dishes from the menu that is scribbled haphazardly on a wrinkled brown bag. In truth, the only thing I ordered here was the brown butter hummus, so Mh Zh admittedly probably shouldn’t even be on this list. It somehow still seems worthy though. I know in my heart of hearts that anything else you order here will surely meet the same levels of complete impressiveness of that one single dish, or more. What are your favorite restaurants in LA? Did I leave any off this list that deserve a mention? These all places are awesome for food, But my personal favorites are “Trois Familia” at Silver Lake & “Republique” at Wilshire. i love these places personally and i always visit whenever i was nearby them. Sounds like we have similar taste!